Protecting backyard dinosaurs by automating and monitoring a chicken coop with technology. We will educate people in the use of technology to produce food hyper locally (at home). Food is energy for our bodies, producing this locally reduces energy usage in many other areas as well. By reducing the dependency on the store, distributor, and farmers, you also cut out the transportation and waste between each node. The food is made and consumed locally reducing the overhead on the entire supply chain. When food is produced locally diseases are not transported to unnaturally large areas. Chickens are not as prone to develop the dangerous diseases when they are not kept together in massive chicken farms. Another component of our system is surveillance through cameras, microphones, motion detectors and other threat recognition sensors which can be fed into openCV to identify and perhaps even react to threats. For example, if motion is detected at night, the lights would automatically be turned on, thwarting many nocturnal predators immediately. 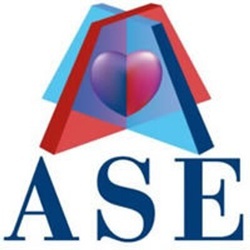 This also illuminates the subject for the cameras to capture many images that can be sent off to the cloud to be analyzed so the threat can inventoried and sent to human caretakers in the morning and can also contribute to machine learning so the system is better able to recognize threats as the project develops a deeper dataset. After further threat detection systems are triggered, other forms of defense can also be initiated, such as the sound of a barking dog or even launching an autonomous reconnaissance drove. At ATXhack4change, we added many people to the team, some people we knew already,and more importantly, some additional talented friends, rounding out our team even further. We hacked away over the weekend and ended up winning the 'Most Austin Project" award! We have both bokbot.com and bokbot.org. 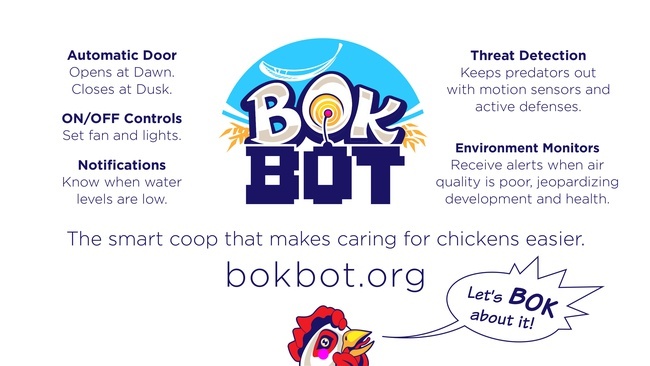 The bokbot.org site will always contain all the code necessary for users to build their own automated coop, all repos are publicly available at https://gitlab.webhosting.coop/bokbot/ and https://github.com/bokbot and will remain free and open source. In addition to this, once we get up and going we want to have community outreach meetups and help people hack their own pre-existing coops, and perhaps hold events where people help build community coops, much like the community gardens you see everywhere in Austin. Building prototypes, and getting them in the hands of Callahan's, Buckmoor Feed, and other Austin area feed stores so we can start building a user base and seeing how much data we can get them to upload data and feedback to us. Furthermore, we'd like to work with the City of Austin and get a number of community coops operational with participation from nearby elementary schools, in turn educating the children about the benefits of composting, producing food locally, and some general agricultural skills that many urban children are not exposed to. We'd also like to pay any legal fees necessary to get the Bokbot.org developed into a 501c3 non-profit organization whose primary purpose would be to foster the open source codebase, and to promote the community around it through educational efforts like the above community coops and other educational outreach programs.